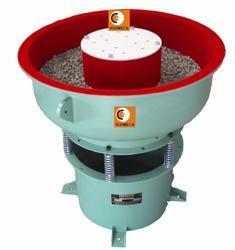 We are a leading Manufacturer of vibratory deburring machine and vibro finishing machine from Ahmedabad, India. Vibratory deburring machine made available by us finds application for meeting the demands of work cell de-burring. Backed by latest technology and functional support, these machines are designed to provide for the need of portability as well as easy installation, thus making these the preferred choice of client companies. The advanced functional support provided by these machines also allows for achieving faster solution to in-hand de-burring/finishing requirements of work pieces. Here, we offer the system with support of variable speed drive as well as option of running on different voltage. These vibratory finishers come with weight mounted inside center section of bowl that provides for spiral vibration action which in turn results in achieving deburr and clean parts. The different media choices these can work on include plastic, ceramic, aluminum oxide, metal. 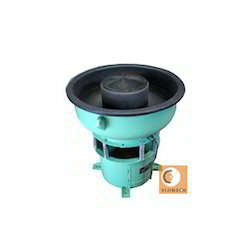 We are the manufacturers of Vibro Finishing Machine.